Most people feel that having a very good command of English language is almost an impossible task. This is because they are of the opinion that the rules are too much for them to get used to. The truth is that while the rules guiding sentence structure are many that one cannot remember all at once, there are basic rules that you are always expected to follow in other to ensure that you are in line. Unless you trying to do professional sentence structure, these are basic rules that you will easily learn and remember in no time. Are you struggling to structure your statements properly and convince your audience? Do you know that a properly structure sentence can add more to your credibility as a writer or speaker? This post is going to be showing you some of the simplest sentence structuring techniques for dummies. They are so simple that once you discover them, you can start applying them today. All you need to do is see this as a guide, apply whatever you will be discover here today and take your career to greater heights. Sentence structure is the way your thoughts have been organized not just to make sense but also to ensure that it is grammatically correct. A proper structure is arranged in line with the rules guiding the formation of grammar. It can also be seen as the arrangement of words grammatically in such a manner that they are meet the modern requirements of any standard sentence. For avoiding sentence structure errors, be aware about these secret tricks! 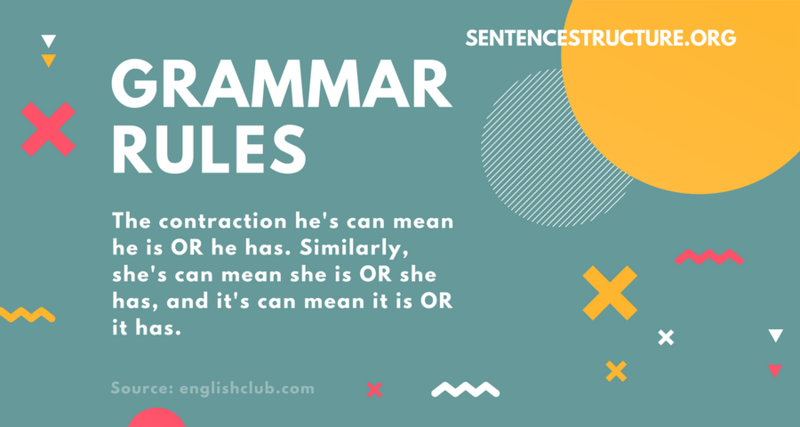 Observing the definitions stated above, there is something that seems to stand out and that is the fact that sentence structuring is dependent on rules that guide proper grammar formation. In other words, once you deviate from these rules your sentence won’t be structured the way that it ought to again. For instance: you can’t ignore the subject and verb agreement rule in your sentence formation and still expect such construction to be correct. That is why it has been recommended by experts that as someone who wants to be perfect in his sentence structure formation, you should try as much as you can to always keep it simple. That is to say, you shouldn’t speak or write sentences that are too difficult for you all in the name of wanting to impress your audience. This is only a recipe for failure. For you to be able to structure your sentence in a basic way there are some vital facts that you need to know so as to be on the right track. One of them is the fact that every sentence has components or parts. Your ability to take note of these components will put you in a better position to structure your sentences the right way. Some of these parts will be listed below. Subject: This is always the actor of a sentence. It tends to tell you more about the sentence. For instance: John came to our house last night. In the sentence, John is the subject. It should be noted that subjects are either noun phrases or nouns. Predicate: This explains or tells you more about the subject. It is a verb. In the above sentence which says “John came to our house last night”, the predicate tells you more about what John actually did last night. Object: This is always on the receiving end in any sentence. In the above sentence; the object is house. Clause: This is more like an additional fact that can be added just to tell you more about something. We ate rice yesterday when we returned from the church. If you notice the first statement which says “We ate rice yesterday”; you will see that it can stand on its own. However, you also have “when we returned from the church” which is the clause. Phrase: These are a group of words which cannot stand on their own. They are dependent on other statements to make more sense. For instance; They came. You can see that the statement doesn’t convey any meaning. It should be noted that the basic components of every sentence is the usual three which are the subject, predicate and object. THE FOUR DIFFERENT TYPES OF SENTENCES! SIMPLE SENTENCE COMPOUND SENTENCE COMPLEX SENTENCE COMPOUND-COMPLEX SENTENCE. Simple sentence: Just as it sounds, it contains one independent clause. Complex sentences: It is a combination of independent and dependent clauses. The independent clauses are usually more than one while the dependent clauses are usually one. Compound sentences: A compound sentence is a combination of independent clauses (usually two or more). Compound: Complex clause contains more dependent clauses than independent clause. The former is usually more than two while the latter is usually one. Links where you can learn more about these types of sentences are listed below. When it comes to how to effectively write in other to have your audience moved, you will have to ensure that your choice of words is directly related to your field. The type of sentence that you are to use in your write – up is strongly dependent on your target audience. For instance; if you are addressing a group of persons in your write up and you know they are not well – grounded in English language, there is no need trying to make your statements complicated as you may not get the needed response. Just keep it simple and straight to the point. Having seen the above, it can be seen that sentence structuring for dummies is something that is very easy once the expected guidelines are followed without any form of compromise. You can get the best Sentence Structure for Dummies with a correct sentence structure service.